Karen: Hey, can you tell me how to germinate cedar seeds? I want to grow a bonsai. Can you help me, please? ANSWER: There are three main steps in forced germination to get most any tree seeds to germinate: scarification, stratification and sowing. Each of these processes will vary depending on the variety of seed, so you will need to do some research once you know exactly which variety of cedar you want to work with. You could also sow them outside in the autumn, as well, and let nature do the work for you. For the purpose of bonsai there are some very specific varieties the Bonsai Society recommends that do better with the dwarfing process, and now there are even some genetically altered seeds that incorporate a fungus that causes a dwarfing process, what we might refer to as a “Witches Broom” on a tree. You can begin with any seedling that you find growing in the outdoors to bonsai, utilizing the specific techniques set forth by the Bonsai Societies and ancient practices from China and Japan. Just planting a seed in a pot does not ensure you an award-winning bonsai, only that you will have a tree in a pot. Most areas have a Bonsai club that often exhibits, holds classes and sells starter plants and materials. Check in your area for a group. If none, there are a number of really helpful websites and books to guide you through the process. Many conifers grow at a very slow rate so these would be ideal for bonsai. There are also many different styles of bonsai, so I suggest you research these first to help you choose the perfect specimen for the bonsai process. If you want to start some cedar seedlings, determine the variety first then you can find what the scarification and stratification times are for it. I just visited the local Bonsai club’s exhibit at our State Fair and am always amazed at how beautiful and how old some of these trees are. It is quite a process. I hope you enjoy your cedar bonsai. Should I plant asparagus in the fall? What Is Late Blight? 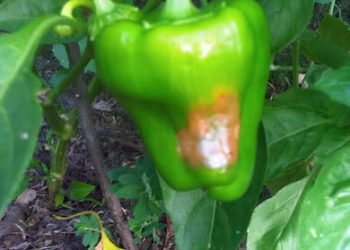 Why Are My Bell Peppers Rotting? Which seeds, cedar or other require the least time to germinate and grow. I am aware of the usual slow growth of most bonsais being that I just started a few months ago to get into the bonsai hobby and have done well with nursery plants and have successfully germinated one Norfolk Island Pine which I may bonsai or let grow on to a large tree indoors. I had purchased one Norfolk Island Pine bonsai which had four trees in a small pot. I have separated these plants and put them into a larger oval pot to try to create a “forest” arrangement. So far, so good but I don’t know if it will work indefinately. I am interested in knowing about plants and seeds you sell and recommend which contain specific instructions, although I have found online some directions online for scarificaiton and stratification. Check out this new bonsai guide I recently got. It’s really useful for any type of bonsai lover.